Erected by Alexander Sinclair tenant Rumster in memory of his wife. Henrietta McGregor died 6th January 1841 aged 48. 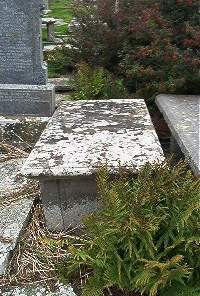 Son Hector Sinclair died 30 May 1858 aged 30.